Porch, Holy Place and Holy of Holies. 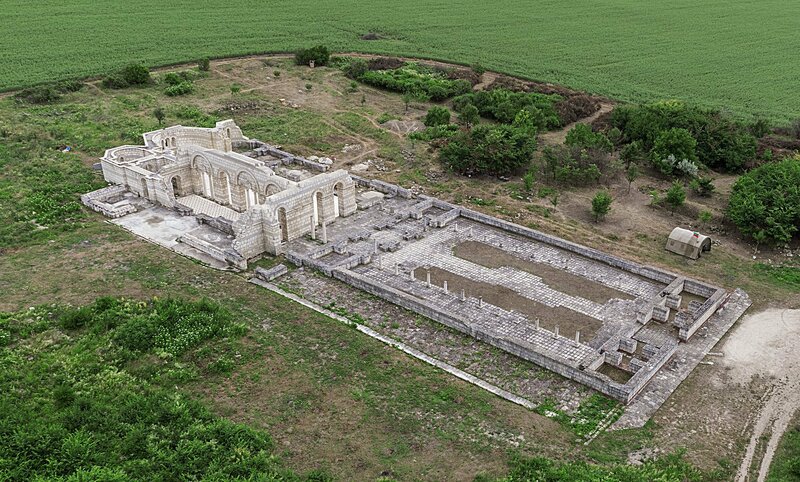 In the Holy Place only priests and priest helpers could enter to service to God and in the Holy of Holies only the High Priest could enter once a year to sacrificy animal according to Jewish Custom. 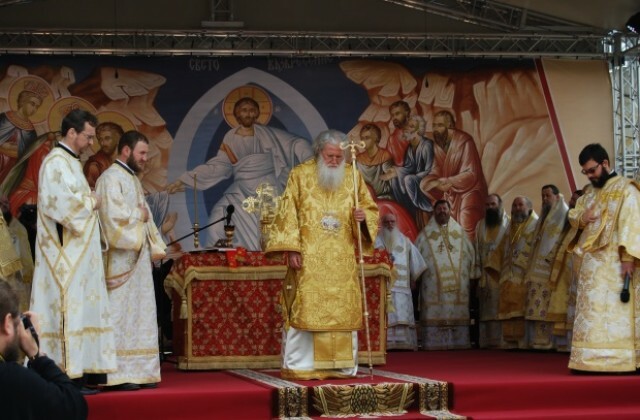 For us Orthodox Christian the High Priest nowdays is the Bishops, Arch-bishops, Metropolitans and Patriarchs). All believing members of the Jewish community B.C. had to be presented "officially" in front of God in the Holy Temple. When the Holy Virgin was born from the already aged (around 90 years old) St. Joachim and St. Anna. The parents out of thankfulnes to God for giving them a child dedicated their child Mary to God and when Virgin Mary turned 3 years old, st. Joachim and st. Anna decided the time to fulfill their promise and offer the Holy Theotokos to the Lord has come and after gathering other young neighbor girls (which were to introduce Mary) holding lighted torches walked in front of the young Mary. Remarkably the Holy Theotokos walked straight without even looking back to their parents weeping (as most children does) or felt regret for being separated with parents. It was remarkable miracle showing she was choosen by God to become the Mother of the Saviour when her parents left her on the first high step (out of 15 big steps) leading to the temple, she could climb freely like a grown person without falling or showing any weakness a usual kid would do. As the young girls were singing from the Holy of Holies the High priest being told in advance by the Holy Spirit came out to receive the young kid which later become the Mother of our Saviour Jesus Christ. 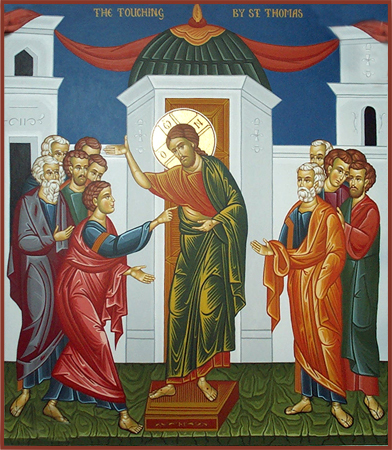 The young Mary run in joy to the hands of the High Priest Zacharias who were waiting her at the gate of the temple with other elders outrunning the other maidens. Zacharias blessed her saying, "It is in you that He has glorified your name in every generation. 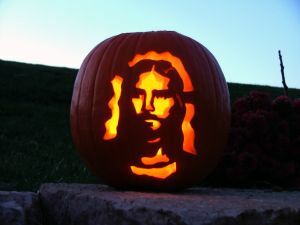 It is in you that He will reveal the Redemption that He has prepared for His people in the last days." Then, Zacharias brought the child (being moved by the Holy spirit) into the Holy of Holies place where only the High Priest was permitted to enter once a year on the Day of Atonement. He placed her on the steps of the altar, and the grace of the Lord descended upon her. The Holy Theotokos arose being overfilled by the unspoken joy that only the Spirit of Truth. 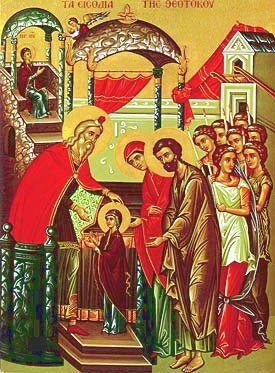 The Entrance of the Theotokos into the Temple signifies her total dedication to God and her readiness for her future vocation as the Mother of the Incarnate Lord. 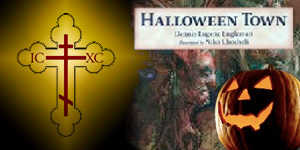 For one more year its the feast of feasts. 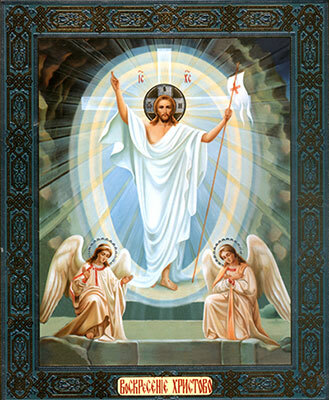 Demons Fall, Angels sing in Heaven, People rejoice because Christ is Risen ! This is a day which God created for us to rejoice! Let nobody be sorrowful for the kingdom of Heaven is open for everyone! Let nobody cry for his sins because forgiveness has risen from the grave of the Savior ! 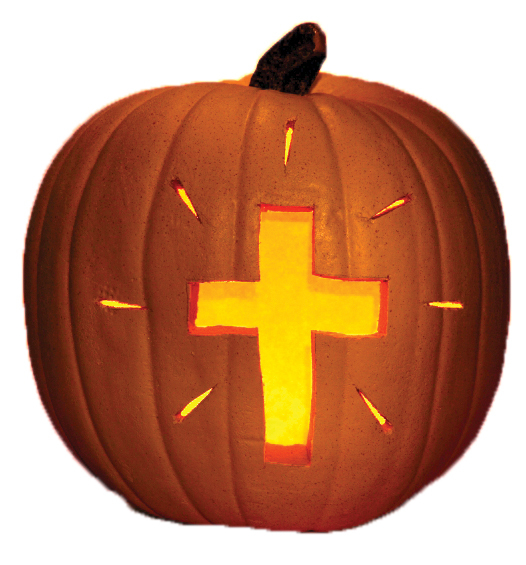 Let nobody be afraid from Death cause Christ – Savior's death has released us from death! "Peace be on you" – said Christ to his followers, conforting and strengthening their faith in the Resurrection. The savior appears to every Christian in the same way to hear his voice saying "Rejoice!" Let we keep in our souls the graceful joy of Easter and by the same grace and faith always triumpth over sorrowful times and hardships of earthly life. Today 6-th of December in Bulgaria we celebrate Saint Nicolas's day (Nikulden) in our autocephalous Orthodox Church – Bulgarian Orthodox Church. As I'm in the Netherlands it was interesting for me to find out in the Netherlands, there is a tradition to celebrate the memory of one of the greatest saints of the One Holy Apostolic – The Orthodox Church Saint Nicolas Bishop of Myra (Myra is nowdays located near to Bulgaria in the territory of modern Turkey and back in the day when Saint Nicolas was a bishop Myra region was part of the Byzantine (Greek) Empire. 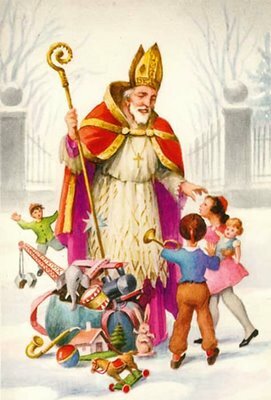 Saint Nicolas is considered the patron saint of Sailers also being venerated as a patron of the people who travel and just as I found today he is a considered heavenly protector of children in Roman Catholic parts of Holland, French and Germany. As of time of writting the Holy Relics of Saint Nicolas, are located in Bary Italy, after Italy attacked Myra and carried away his relics to Bary. they were transferred there a while after his passing to Christ. It is interesting fact that Saint Nicolas (Sinter Klaas) is being venerated in almost under some form in all European Country. It seems his memory and veneration is stronger on countries neighboring a Sea or Ocean and Rivers. The reason why saint Nicolas is considered as heavenly protector of Mariners and all who travel by Water vessels is he rescued sailors in the Aegean Sea during his lifetime. As Saint Nicolas was a Bishop of Myra he holds the Bishop stick and the Bishop's Mytra ( cap ), as long as a costume which even to this day can be seen worn almost identical in Eastern Orthodox Church in West in Roman Catholic Church – the priests cassock nowadays has evolved so is not so similar to Sinta Claus's dressing. 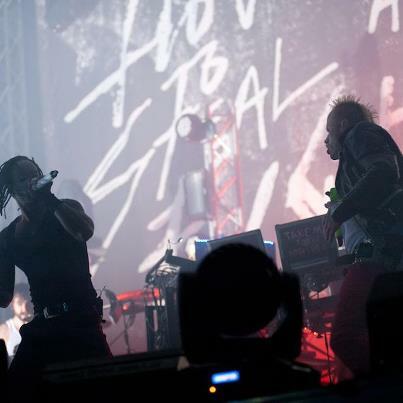 The Black guy on the left of SintaClaas is called Zwarte Piet [The Black Piet (Zwarter Piet) – or Black Peter ]. 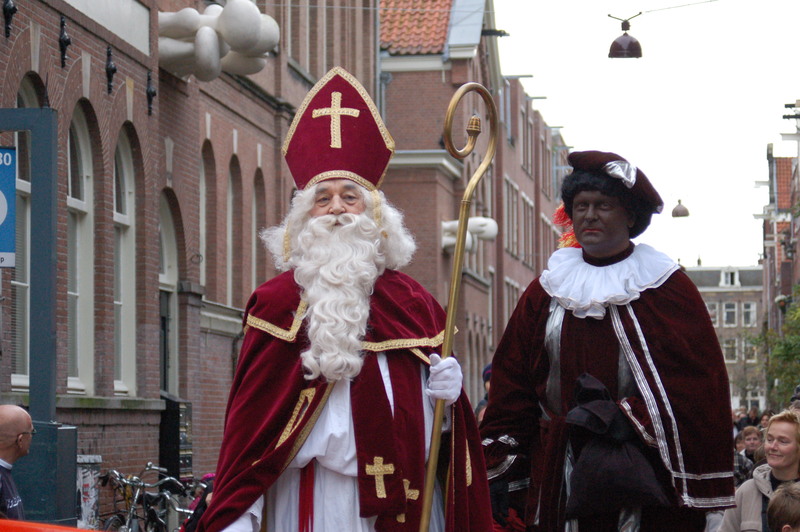 According to some legends, the Black Piet was a slave who was bought and let to freedom by Saint Nicolas, as a courtesy the ex-Slaved black person stayed and was helping to Saint Nicolas in all his deeds until the Saint's passing to Christ. According to our Orthodox Christian Church tradition Saint Nicolas played a key role and was in his God inspired polemics defending the True Orthodox faith against the heresy of Arians at the Ecumenical Council of Nicea. His popularity in Russia, Bulgaria, Greece and Serbia is of great esteem. Where it is interesting in Russia almost all Church or Shrine (Paraklesos) has a holy icon of saint Nicolas. 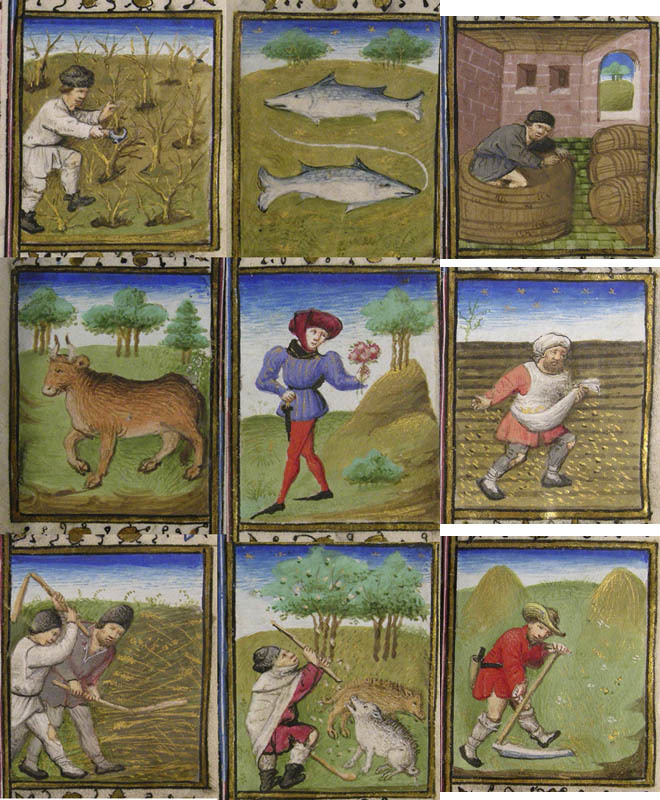 It is rather interesting that for some not very clear reasons (people legends and mixture between local traditions and Christian believes) his veneration in Western Europe from being a saint protector of Mariners changed of being a saint who looks after Sailors to saint who brings gifts to little children. On 5th of December the night before 6th of December in similar same way as in America and across a lot of other Christian countries on Christmas (24 December), the kids leave empty shoes (traditionally near chimney) waiting for SintaKlaas to bring them a gift. Differently from the 24th Christmas gift tradition, for SinterKlaas kids shoes are filled with small things, cookies chocolate or fruit and is not so common for Sinta to leave "bigger" gifts like Santa Claus on Christmas eve. 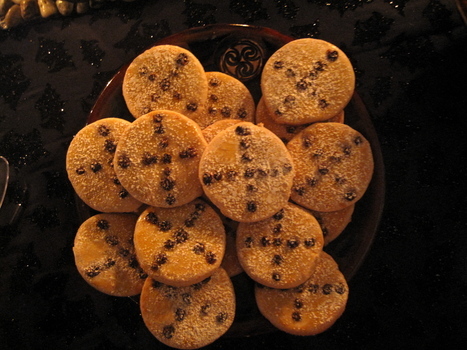 It is a custom here in the Netherlands that on SinterKlaas's day a Gingerbread biscuits are eaten in big quantities (this seem to be the most traditional "meal for the feast"). In Bulgaria a bit differently it is our local tradition that each family eats fish on saint Nicolas's day. Here in Netherlands, there are plenty of children song being sung on SintaKlaas's day – most of them secular. The memory of the saint is very strong in the Capital of the Netherlands Amsterdam. 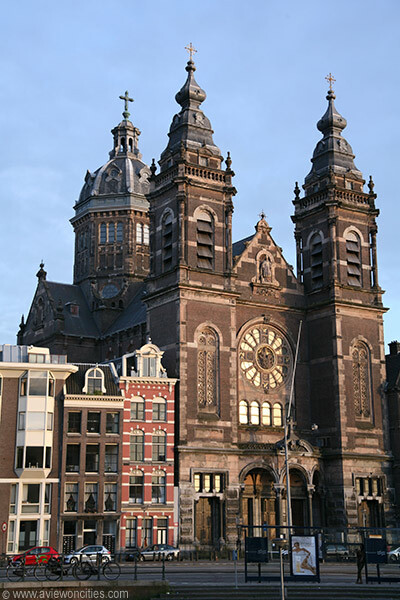 There is a big Roman Catholic Cathedral dedicated to memory of Saint Nicolas. 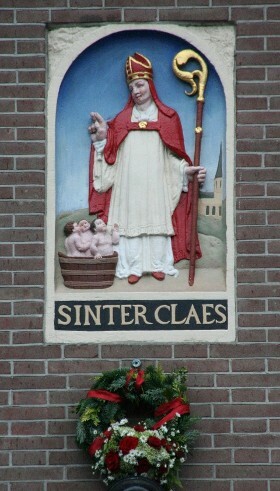 By Amsterdam inhabitants st. Nicolas is considered as a heavenly saint protector. 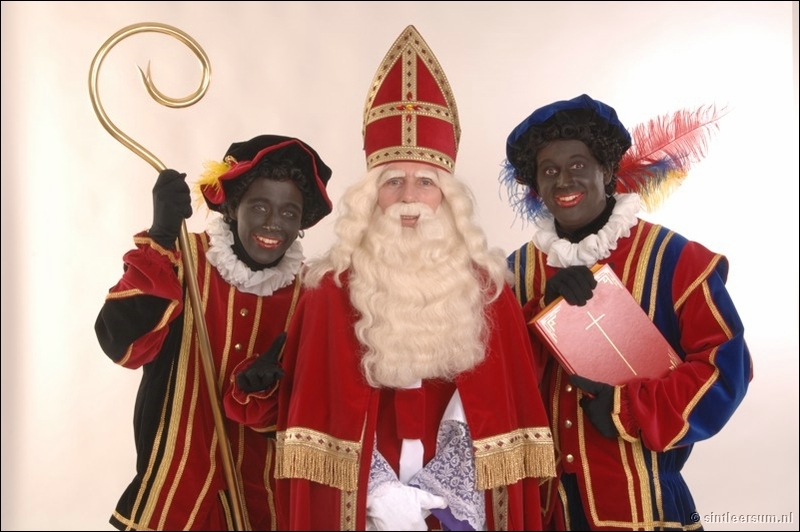 Later when immigrants from Europe mostly (Roman Catholics) moved to America the Sinterklaas (Sinta Klass) changed to the kids favorite good old man Santa Claus who brings them gift. Rather sadly Santa Claus tradition profanization mainly due to commercialization and globalization and "Coca-Cola culture", nowadays made Santa Claus to more remembered person than our Lord and Saviour of the world Jesus Christ whose birth should be the main accent of Christmas. Nowadays believing and atheist families know and remember Santa Claus, but there are only few of them who tell their kids about Christ's birth in the inn (cave). 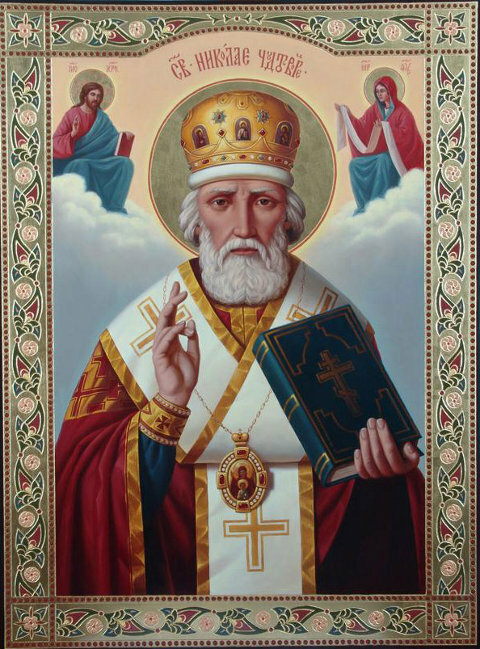 Saint Nicolas's miraculous living is on OrthodoxWiki's site check it here. 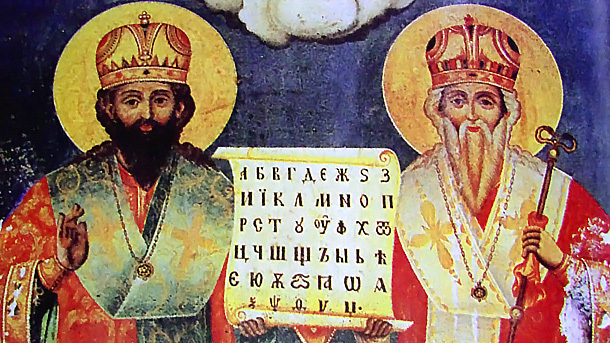 In Russian and across the Orthodox Churches who are still following unrevised Church calendar for most feasts, the memory of the saint Nicolas of Myra is commemorated 13 days later. Let by the Holy Prayers of Saint Nicolas of Myra, The Lord Jesus Christ be merciful on all of us Christians. Holy God servent Nicolae pray the Lord our souls be saved! 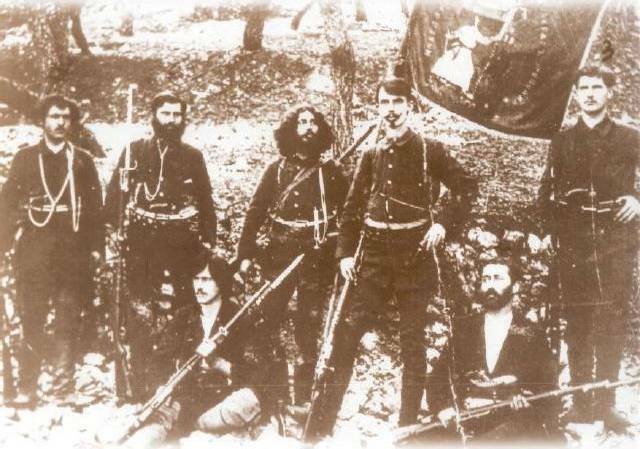 On 19-th of August 1903 happened the Indensko Preobrajensko Vyzstanie – (Ilinden Transfiguration liberation revolt). 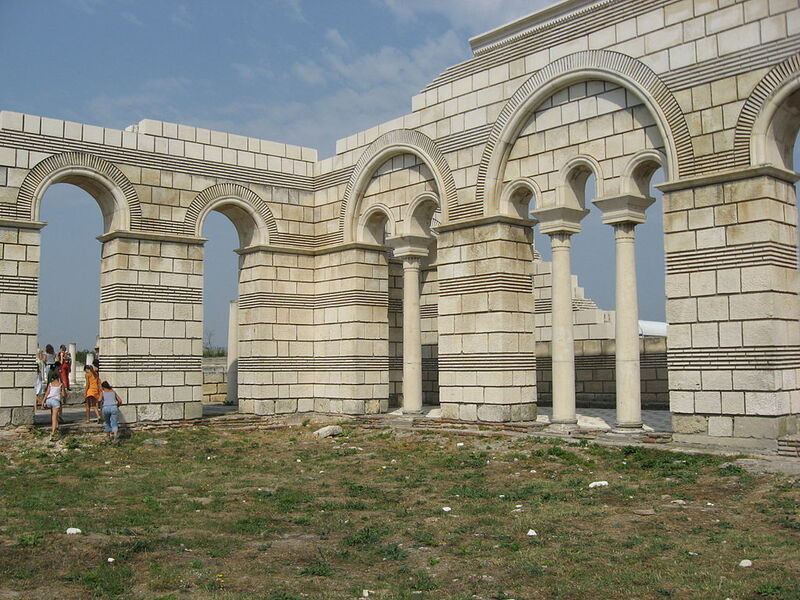 This revolt is important moment for Bulgarian restoration modern history. At this time South Eastern part of Bulgaria was still under Ottoman Turkish Empire rule and there was huge internal tension between local population striving to liberate and unite with rest of bulgarian lands. 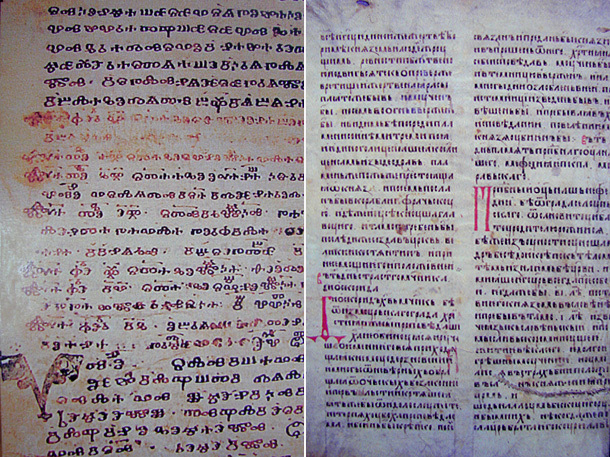 The revolt was planned to raise some publicity in western world and show that the lands of Strandzha mountain are belonging to the newly established Russian liberated restored Bulgaria. 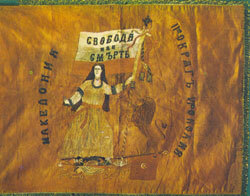 Ilindensko Preobrazhenski Uprising was preceded by another revolt which happened in nowdays Macedonian lands near the city of Ohrid. The revolt is named under Ilindensko Preobrajensko Vyzstanie name because actually, the 2 revolts were perceived as one common effort to liberate and unite ex-Bulgarian empire territories with mainly Bulgarian and Serbian population to the newly re-establed Bulgarian land. 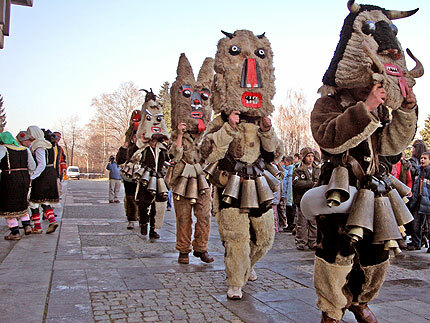 Ilinden is important day for Bulgarian culture in english it means (Saint Elijah’s day) as the people of the early 20th century had strong faith the 2 revolts received a common name after the two Church feasts Ilinden (st. Elijah’s day) and Preobrazhenie (The day of Christ transfiguration). 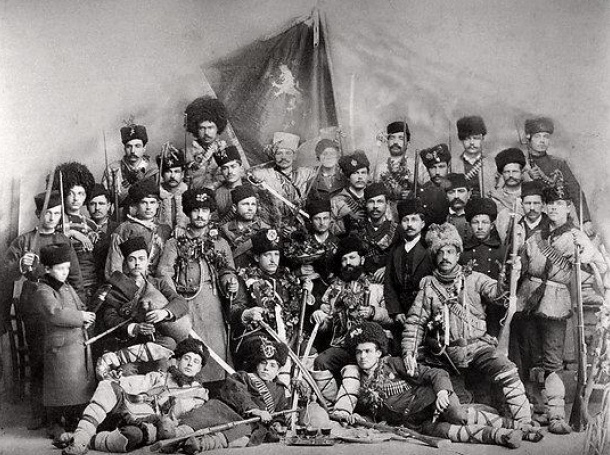 The revolt was organized and planned by the even to this day existing Bulgarian organizatoin VMRO – Vytreshno Makedonska Revolicionna Organizatia – (Internal Macedonian Revolutionary Organization). VMRO asks on a few times the then Bulgarian army to join them in the uprising efforts, but the then Bulgarian king refuses foreseeing that this could cause another war between the newly re-established 5 centuries unexistent Bulgaria with the still large and powerful Ottoman empire. 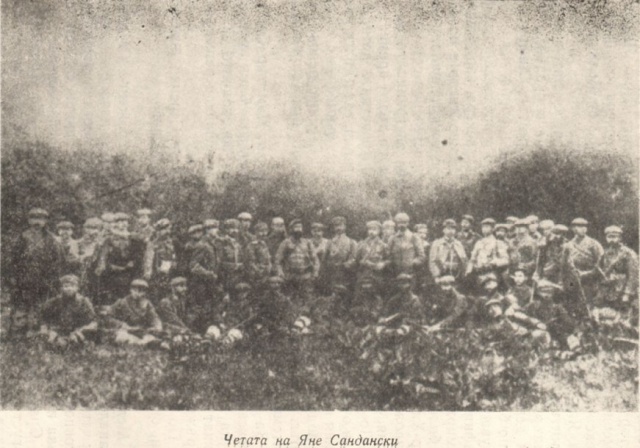 Though uprising was quickly brutally extinguished by Turkish as planned the revolt was able to raise a huge dispute about the so called “Bulgarian problem” and in 1913 part of Strandzha mountain was united with Bulgarian country. 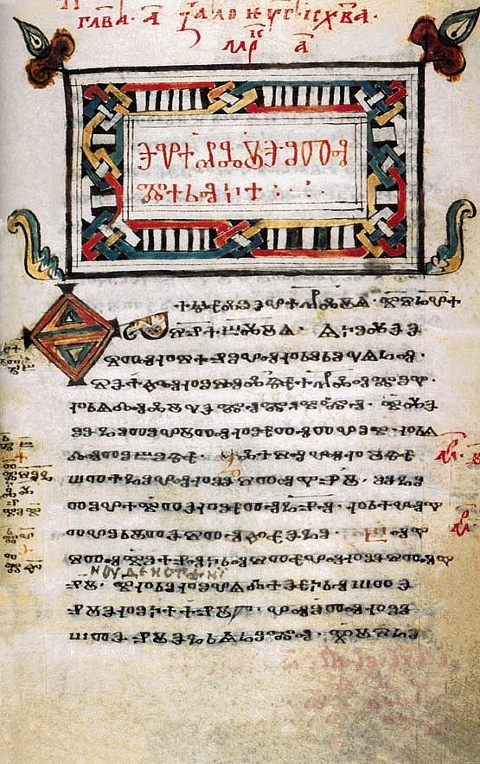 The Bulgarian population of the parts of Strandja mountain which remained in territory of Turish empire was forcefully chased to central Bulgaria. The total number of “guerillas” who participated in two revolts was 26 000. This 26 000 bravehearts faced enormous 350 000 people Turkish army! Of course the outcomes of this uniqeual powers were clear. Still some members of the uprising held hopes thta maybe Russia or some of the western countries would help them with provisions and people “reinforcements”. 994 “guerillas” died in the uprising. The turkish army demolished 201 peaceful people villages (12 440 houses!) and killed brutally 4 694 (peaceful inhabitants in this number kids and woman) by slaughtering and burning them alive. 30 000 of people from the ravaged villages escaped from their homelands and become refugees in Bulgaria. As one can guess whole Civillized Europe was in shock that in 20th century such a blood bath could happen in Europe ….